What is a Community Group? Why would I want to be in one? A Community Group is a group of people who are committed to meeting on a regular basis with each other to do life together in order to strengthen their relationship with Jesus, as well as coming alongside others in their journey of faith. When it comes to growing in our faith, the Bible is pretty clear that church was meant to be experienced with other people. We are “spiritually formed” in community. It’s healthy for us. Through life groups, we fulfill the commitment to love one another and help equip the body to love the people in the world in which they live.  Here at Radiant Life, one of our core values is “you can’t do life alone.” It is our goal to not simply be a church with Community Groups, but to be a church of Community Groups. Community Groups meet in various homes throughout the week. Kids are welcome. Food is always there!